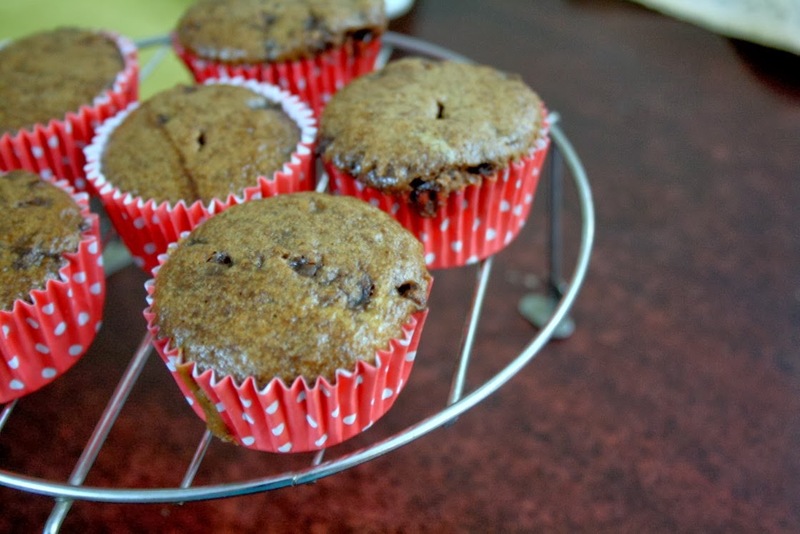 For the second day, I have a double dose of Chocolate Choco Chip Muffin. This is very similar to the Vanilla Choco Chip Muffin. However for the chocolatic fans at home, that was not enough and I had to increase the dose just for them. My kids were over the moon eating these and I enjoyed just looking at them! I baked a huge batch of this when we went visiting our relatives and you can imagine how quickly this disappeared! Melt the chocolate Chunks in MW for 30 secs and temper well. In your measuring cup, take the corn flour first and over it fill up with the all purpose flour. Then add the cocoa powder. Sift the flour couple of times ensure it gets mixed well. In another bowl, add the sugar and whip with curds, making sure it is dissolved well. Then add the baking powder, baking Soda and gently stir it. Let it rest for 2 -3 mins. By then you will mix becoming frothy with bubbles. Pre heat the oven at 185 C and have your muffin tray or liners ready. Add vanilla essence and the flour in batches. Gently fold in, making sure you don't mix it too fast or hard. Add the melted cooking chocolate. Gently fold in. Finally add the choco chips and fold it again. Scoop the batter into each liner to 3/4th and bake at 185 C for 15 - 20 mins. 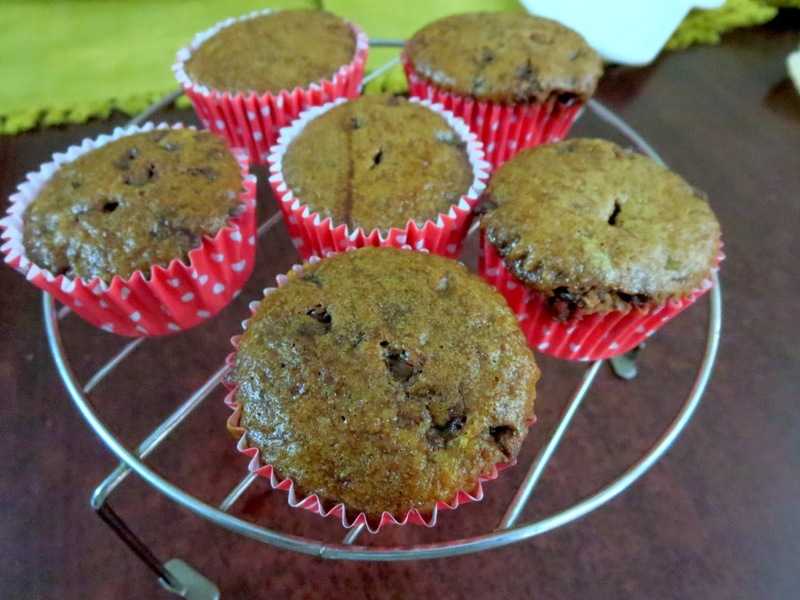 Check if it is done in one muffin and let it cool before handling it. My muffin cups were thick ones and I was baking a huge batch. So filled it up to 3/4 and baked. Do not over mix the batter in any time. If you like you can top it with more chips on top.